Western Pennsylvania&apos;s Allegheny Mountains offer miles of scenic bike trails, rail trail biking tours, and downhill mountain bike excitement! Take in the scenic Laurel Highlands and the beauty of the region on a bike ride through state parks, along the Great Allegheny Passage rail trail, and at world class resorts. 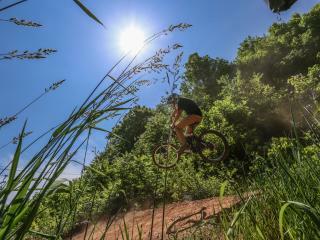 These bike trails offer a variety of riding options, from downhill thrills to level family friendly rides. These nearly level bike paths that once felt the rumble of freight trains, now serve hundreds of thousands of bikers each year. The Great Allegheny Passage, an 150 mile trail, connects to the C&O Canal Towpath, totaling 335 miles from Pittsburgh, PA to Washington D.C. Charming Trail Towns along the way make this trip an unforgettable experience, with fantastic lodging and dining options. Guided tours and shuttle services are available. Coal and Coke Trail offers linking Mount Pleasant and Scottdale along Jacobs Creek past historic coke ovens 6 miles. Sheepskin Trail connects the Great Allegheny Passage to the historic town of Dunbar on 2.1 miles. This developing trail will soon connect the Great Allegheny Passage to Morgantown, West Virginia, providing 34 miles of trails across rural Fayette County. Westmoreland Heritage Trail connects Saltsburg to Trafford, with stops in Slickville and Delmont for 5.9 miles. Five Star Trail connects Greensburg to Youghwood, continuing to Armbrust. 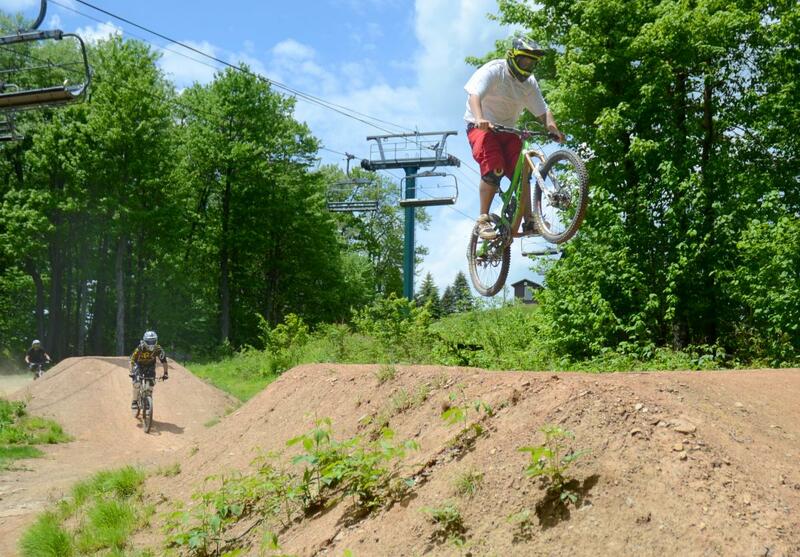 The downhill mountain bike park at Seven Springs makes practicing your jumps, slides, and skills easy, with 11 downhill trails serviced by chairlifts. With no uphill climbs, you’ll have the energy to tackle these trails packed full of berms, banks, rock gardens, drops, ladder bridges, table tops, boxes, fall line sections and 20+ foot jumps. Season passes are available, with on-site equipment rentals and lodging. Ohiopyle, a trail town along the GAP, is also home to several beautiful mountain biking trails throughout the state park. • Laurel Mountain trail network offers roughly 20 miles of challenging trails and unique terrain. 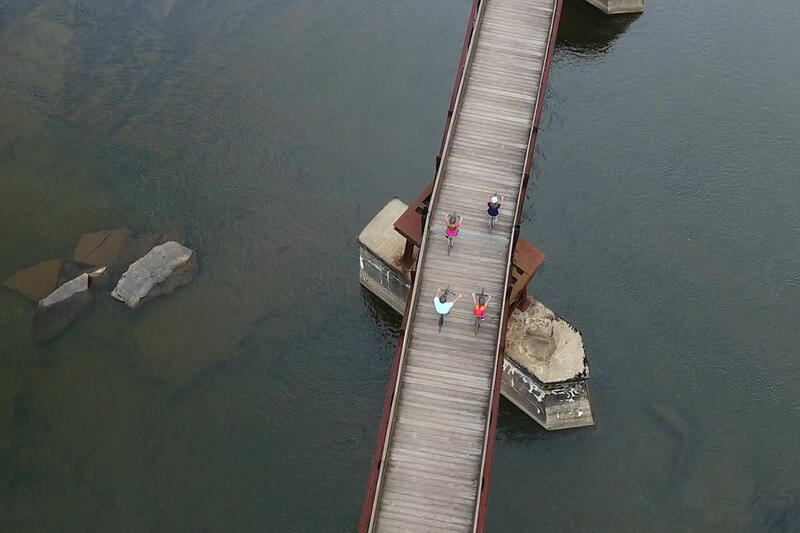 • Quebec Run offers several winding trails and roughly 20 miles of loops with a variety of route options, and technical terrain with steep uphill climbs or challenging downhills. • Plenty of gravel grinding can be done near the North Woods trail system. 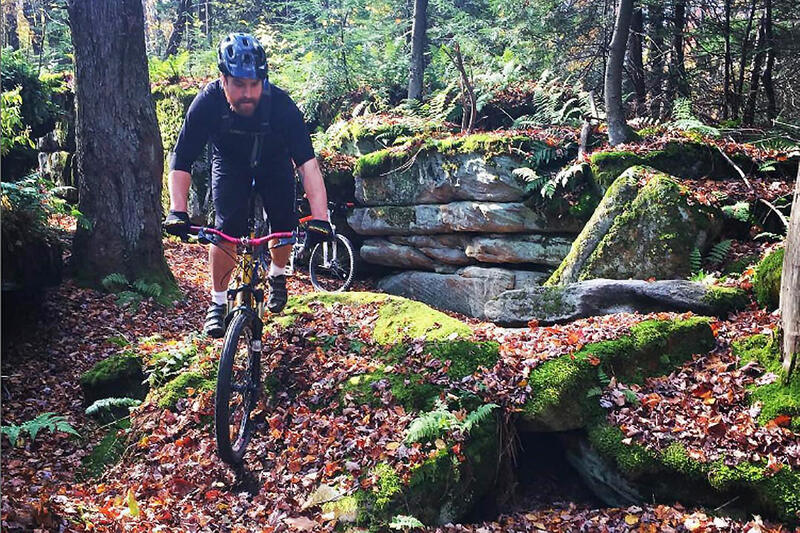 The North Woods also offers nearly 3.5 miles of mountain biking.